The Images are from a 'Full Spectrum' Canon EOSM camera using the following set of on-the-lens filters: 680nm, 720nm, 760nm, 850nm, 950nm and as we had one, a UV filter too. Also included is an image with no filter, allowing the 'full spectrum' result. Note: It would have been very helpful to have included an on-lens 590nm filter but there was nothing available. The examples show RAW files, mono conversion, Channel-Swapping and where appropriate the result of 'Auto Levels' only. 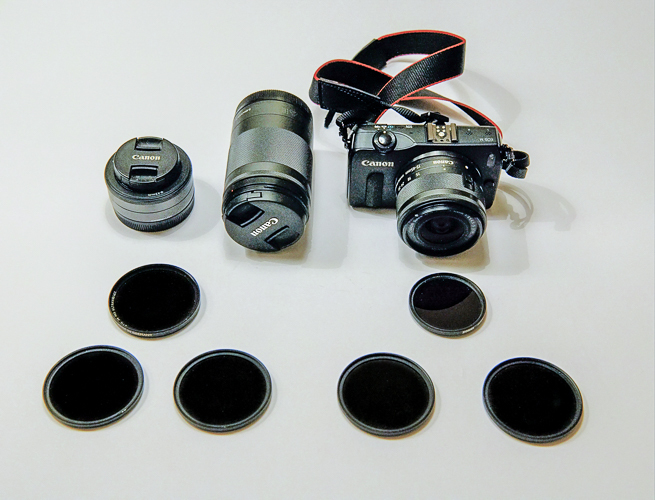 It was only possible to test filters that were readily commercially available and as luck would have it, they don't necessarily coincide with the filters commonly used for camera conversions. However, the series of pictures do give a broad idea of the differences between the filters. Never-the-less, much will depend upon the lens, camera sensor array, quality of light, angle of reflectivity, subject matter, processing and not least of all the characteristics of the on-lens filter itself. 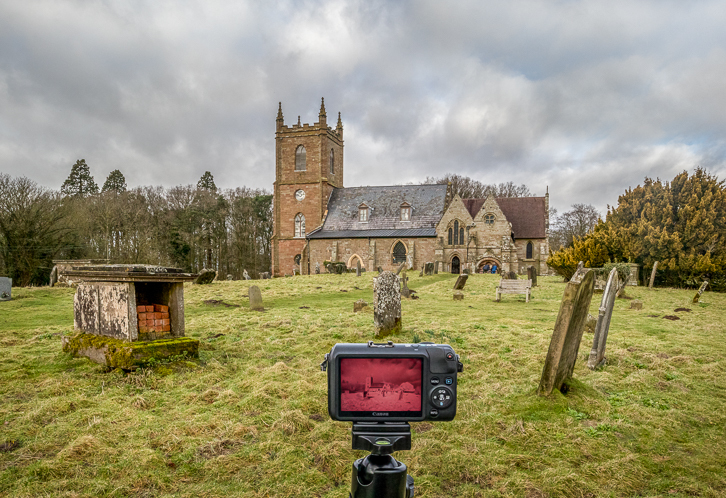 Not all IR filters are created equal. From filter supplier to filter supplier, the 'slope', 'response curve' and cut-off points can vary. I'm grateful to my colleague Dr. Charles Ashton for the use of his Canon camera for these tests. Each link below will show the results of a specific filter.